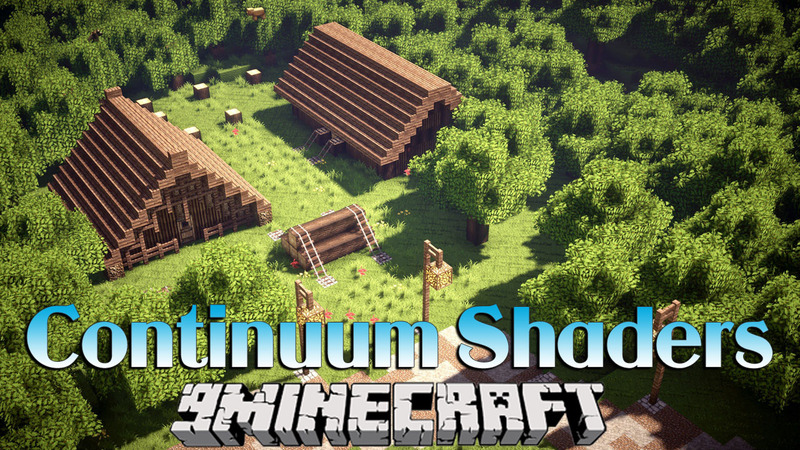 Continuum Shaders Mod 1.13.2/1.12.2 is a shader for high performance machines and cinematics. The sunlight looks incredible, while it also dazzles if you look directly into it. Ultra realistic clouds are flying on the sky, giving it a superb contrast. he shadow effects work perfectly combined with the lightning effects, aswell as the distance rendering. Everything seems just in place. And at last look at the water surface. Have you ever seen such a beautiful lake dividing the landscape into two parts? Just give it a minute and feel the detail in this picture. Global Illumination – The scattering of light from the world. Volumetric Clouds – Fully procedural 3D clouds. PCSS Soft Shadows – High Quality variable soft shadows. Parallax Occlusion Mapping – 3D rendering on blocks. Physically Based Rendering – High quality lighting and reflections. Phisically Correct Water Caustics – High quality light refraction based off wave height. Volumetric Light – 3D light shafts. Extended Shadow Distance – Fully infinate shadows. Varying Weather System – Fully dynamic weather that changes day to day.